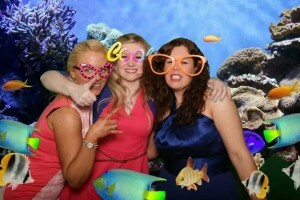 The Wedding Disco has one of Northern Ireland’s best green screen photo booths. It has multiple backdrops giving your guests the most out of their visits each time. We supply for Formals, Birthdays, Weddings and corporate events across the country, which is clean and professionally manned at all times. 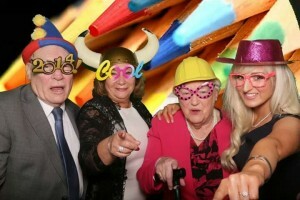 Looking for a photo booth northern ireland that will WOW your guests? This is Perfect for any event, no matter if your wanting a wedding photo booth, Photo Booth for your birthday party. Maybe its for a formal or a fundraiser in Northern Ireland? Then look no further. No more boring curtains or drapes, with the only 3D photobooth in Ireland you can be transported to anywhere in the world and beyond at the click of a big red button. 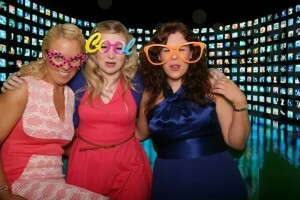 The Fun-Tastic Image Box Is a fun addition to any party or event. Our Photo booth comes complete with all fun props and a full time operator to guide you through the process. Once in and the curtain pulled you are free to express yourself while the booth takes four photos with a four second gap to allow you to perfect your look. When finished, you can collect your prints from the operator. If you have pre ordered any background themes please let the operator know before entering. When you book you have an option of how the photos are printed. Either a double strip with each of the four photos duplicated or just the four larger photos printed. We can also add text or logos to the printed photo strip. All photos taken will be supplied on DVD after the event. 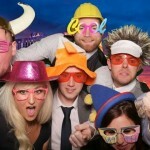 We like to add all photobooth images to our Facebook site so if you do not want this to happen please let us know. On location we need an area of 2.5 m x 3.5 m a table if possible and a 13amp socket located near by. Please don’t hesitate to contact us with any other questions you may have.